As an investor, you may be interested in graduating from selling stocks, to selling diamonds. Diamonds offer a physical, durable piece of financial value. Investors and buyers alike love to have diamonds since there is such a high chance of appreciation and leveraging investment value. Plus, they have a sense of portable worth. It is rather easy to start the process of investing in diamonds. However, it is important to understand a few basics on how to properly invest in these gems. Below are some pointers to help you get your investment started. Like any investment you make, it is important to give yourself a budget to work with. There is one big difference between investing in stocks and investing in diamonds. For diamonds, the initial money you put down will be significantly higher than that of stocks. You should go by a strict budget amount especially as you start out. Many people say you should consider a budget around $5,000 for a single diamond, depending on how rare it is. By knowing where you stand in your initial investment, you can have a ballpark idea of where you will end up. When it comes to purchasing diamonds, there are many places you can buy from. However, it is important to note that when you go to a jewelry shop, diamonds are priced higher since they have traded hands with the initial merchant and possibly other traders. You should start by trying to buy directly from the merchants to follow the wholesale formula. This way, you will earn the most value at a lower possible price. The higher the merchant is up on the chain of diamond sellers, the better. Keep this in mind when you are looking into where you should buy your diamonds. You, as the investor, should have the mindset of selling diamonds at an increasing value. Large diamonds tend to do well over longer periods of time. Smaller diamonds should be watched closely and sold more quickly. You should pay careful attention to the prices of diamonds and compare, as prices tend to change. This will increase your chances of receiving a higher profit. It is important to understand the types of diamonds that are worth making an investment in. The diamonds that will make you the most money and are the easiest to invest in, will give you the best chance of making a profit. Diamonds should be at least 0.75 carat. Many sellers consider the best type of diamond to be “round and brilliant.” There are specifications that make some diamonds more desirable than others, so be sure to inspect each diamond before you make an investment in it. Make sure you have a diverse selection of diamonds. 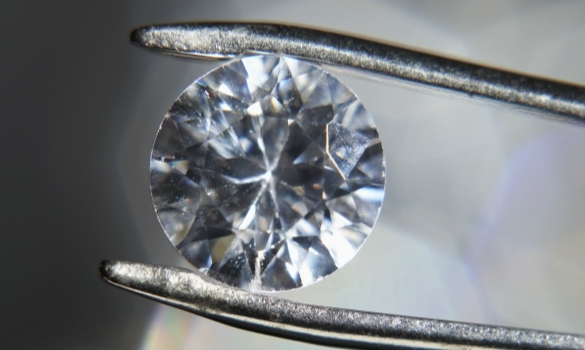 When you decide to sell, your potential buyers are likely particular about their gems. Increase your chances of receiving a good reputation with the proper allocation definition. As an investor, make sure you have a diverse set of good, valuable diamonds. You can make the most of your investment by acquiring a set of great diamonds. The transition between investing in stocks to investing in diamonds may require a little push, but it is effort that is well worth it. Despite the risks of investing in diamonds, these gems are a great way to have a physical piece of portable worth. They make good investments because the desire for them is high, and they tend to appreciate over time. If you decide to make the decision to sell diamonds, you won’t be disappointed. Keep these basic pointers in mind and you’ll be all set to begin a great investment.